Dr. Harold Adel of Sleepy Hollow, NY, formerly of Larchmont, NY, New Rochelle, NY, and Brooklyn, NY, passed away on February 10, 2019. Beloved husband of Suzanne (Goode) Adel, devoted father of Lori Adel Horowitz, Paul Adel, and Daniel Adel, proud grandfather of Nina, Sarah, Parker, Asher, Luc and Sam. Loving brother of the late Samuel Adel. 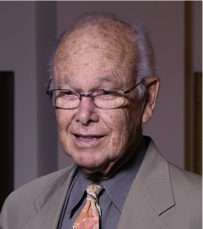 Dr. Adel devoted his life to his family, medical practice, medical education and public health. Born June 22, 1930, he was a first generation child of immigrants from eastern Europe who established themselves in Brooklyn as grocery store, soda fountain and candy shop proprietors. His formative experiences included making malted milkshakes and root beer floats, playing stickball and handball, and spending summers as a camp counselor at the Camp Kinderland in Hopewell Junction, New York, where he found his great passion for softball. It was the latter that earned him the moniker, ‘Lefty.’ In 1951, as a camp counselor at Camp Tarigo in the Catskills, he met Suzanne Goode, who later became his wife of 65 years. Dr. Adel earned a medical degree from the New York University College of Medicine, and Masters in Public Health from Columbia University. Dr. Adel was selected as Chief Resident at Bronx Municipal Hospital Center. He then served for two years as a Captain in the US Army Medical Corps. He went on to become Professor of Medicine and Associate Chairman for Undergraduate Education of the Albert Einstein College of Medicine, Department of Medicine; Co-Director of Medical Services at the Bronx Municipal Hospital Center; and Commissioner of Health of Westchester County, New York. After retirement he continued to serve on the Westchester County Board of Health. Dr. Adel was a highly regarded educator who established deep and lasting relationships with colleagues and students. During his time as Co-Director of the Clinical Research Unit at the Van Etten Hospital in the Bronx, he conducted research in the relationship between hypertension and atherosclerosis. He introduced kidney dialysis at the Einstein before it was a commonly known procedure. Dr. Adel founded the first hospital bioethics committee in the Health and Hospitals Corporation System, and was a member of the New York State Chapter Health and Public Policy Committee. He served on the Governor’s Advisory Council on Lead Poisoning, and on the Executive Steering Committee of the Health Care Management Program at Pace University. The Westchester chapter of the New York Civil Liberties Union was an important part of Harold’s life for some years. He was President of the chapter, and arranged for many important meetings. He also was a Board Member of the New York City chapter. Harold enjoyed numerous pastimes, which included music, literature, photography, and skiing and tennis. He particularly enjoyed travelling and experiencing foreign cultures, and established traditions of family summer vacations to the coast of Maine and winter ski trips to Vermont. He took great pleasure in French culture following his military service in Nancy, France. Of note, he took up study of the cello on his 50th birthday and continued for several decades. Above all he possessed a warmth and concern for others that endeared him to all. He delighted all he met with his compassion and sense of humor. Services will be held on Wednesday February 13 at 11:00 AM, at Congregation B’nai Yisrael, Armonk NY. The family will receive visitors immediately following the service at the Horowitz residence until 4:00 PM and again from 6:00 – 8:00 PM. A private graveside ceremony will be held on Thursday, February 14. Family will again receive visitors on Thursday evening at the Horowitz residence from 6:00 – 9:00 and at the Adel home at Kendal-on-Hudson on Friday from 2:00 – 5:00 and on Saturday from 6:00 – 9:00.